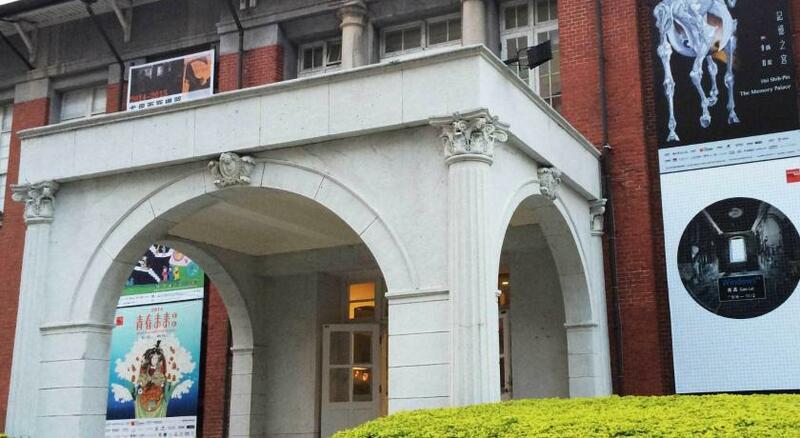 Lock in a great price for Star Hostel Taipei Main Station – rated 9.3 by recent guests! The hostel make us feel comfortable, the whole environment is chill and relax, especially the common living room. Room and toilet is clean. Staff is nice. The breakfast is great and tasty! We really enjoy staying there. Stuff were super friendly. 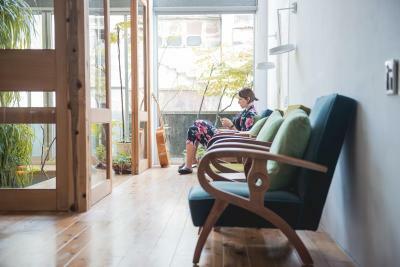 The location is convenient, 3 mins away from Exit Y13 of Taipei Main Station. Breakfast menu changes everyday and was made fresh for the guests. We like the cleaness, the friendly and helpful staffs, the set up in the common area. 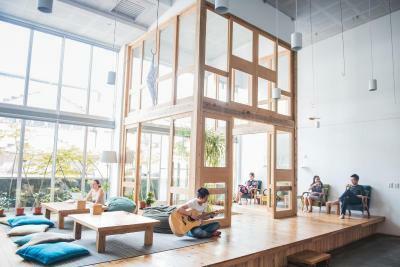 Simply the best hostel I've stayed in Taipei and Taiwan. The lobby is just wonderful, comfy, good lightning (first time seeing so many people taking pics of a lobby) and they also have Nintendo Switch and books! Perfect to chill out after a tiring day in the city. Breakfast was very good too, with lots of varieties since the menu changes every day. The bed was comfy and bathroom clean. Everything is done to have a perfect stay which I had during my two stays. Friendly staff too! 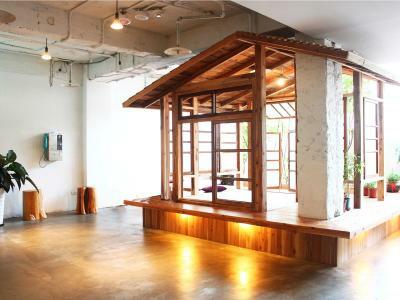 Will definitely the only hostel I'll stay in from now every time I go to Taipei. Best hostel I've stayed at. Really nice and helpful staff. Place is very conducive to meeting new people. I have stayed here multiple times and still Love everything about this hostel. I remember in my past review I mentioned that the streets to the hostel were dark making me feel unsafe. However, this time around I noticed that there were bright street lights leading up to the hostel making it a lot more safe and inviting to walk there alone. The bathrooms were always spotless and I appreciate the new floor mats provided in the showers. Great location next to the train station and there's also 7 eleven just on the corner of the street. The lounge is so beautiful, it's so comforting to just sit there in the morning enjoying the plant and the sunlight. 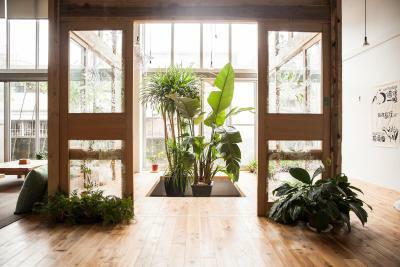 The team behind the hostel put in so much effort in creating a space where people can interact during the trip. 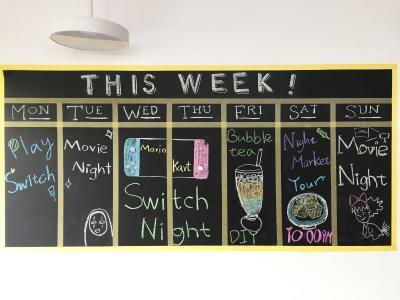 They have movie nights, bubble tea-making workshop and so on. Not to mention the breakfast they served! 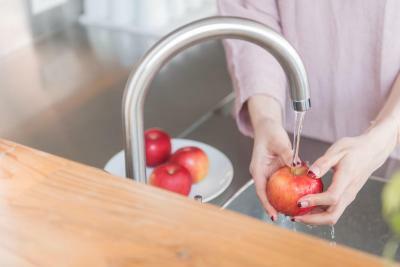 Even in the kitchen, they are thoughtful enough to prepare separate dish towels and loofah (no disgusting sponge) for you! I truly enjoy my stay here. The place was beyond beautiful and comforting. I often like I was in paradise staying at the Star Hostel. The staff was so welcoming, by far the best place I have had the honor at staying at. I loved every second of it. 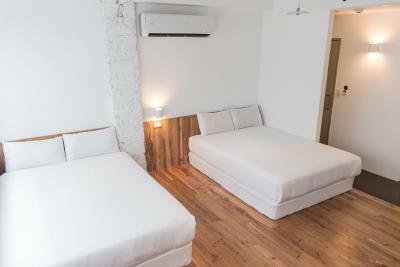 Star Hostel Taipei Main Station This rating is a reflection of how the property compares to the industry standard when it comes to price, facilities and services available. It's based on a self-evaluation by the property. Use this rating to help choose your stay! One of our best sellers in Taipei! 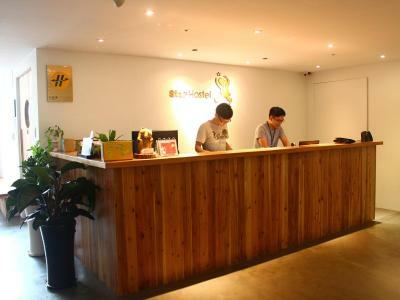 Star Hostel Taipei Main Station offers simple but comfortable accommodations near Taipei Main Station. 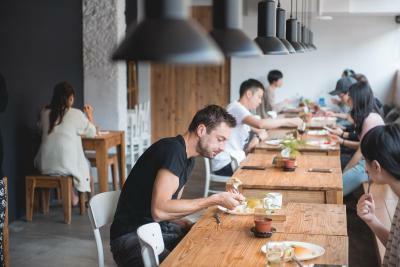 It is only a 5-minute walk from Airport MRT Taipei Main Station (A1) and 7-minute walk from Taipei Main Station, where guest can easily take public transport to explore the city. Free Wi-Fi access is provided. 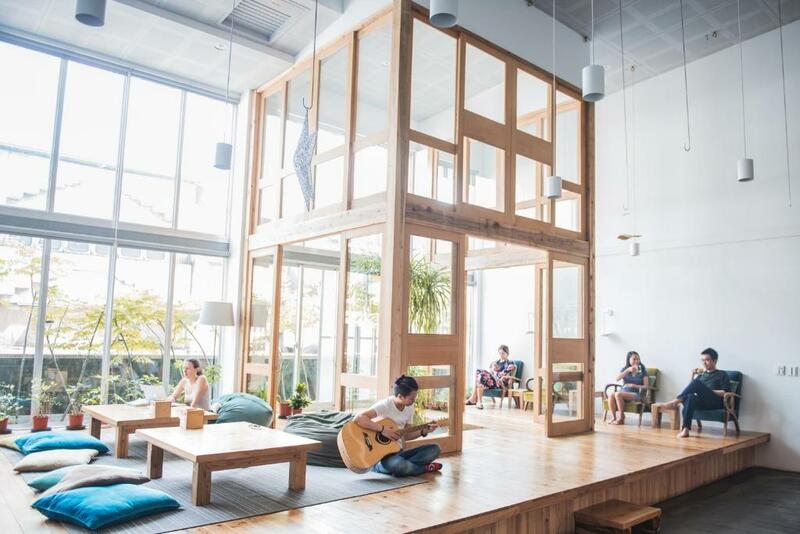 Hostel Star Taipei Main Station is a 15-minute MRT ride from Ximending and a 23-minute MRT ride from Huashan 1941 Creative Park. Rooms here are all soundproofing and air-conditioned. 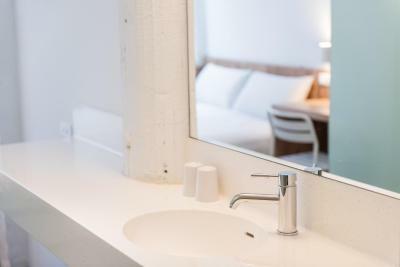 Private rooms will provide a flat-screen TV, a work desk and a private bathroom. A hairdryer is included also. 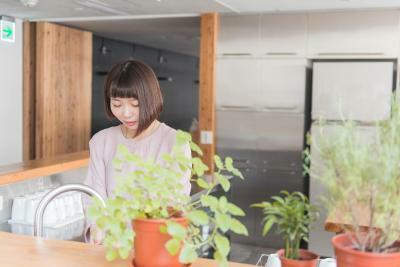 You will find a shared lounge and kitchen. Staff at tour desk will help with trip plans and luggage storage. A hearty breakfast and freshly brewed coffee are served in the green lounge. This property hosts activities and provides tourist information. 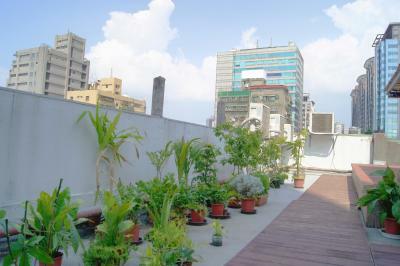 뀐 Located in the top-rated area in Taipei, this property has an excellent location score of 9.3! 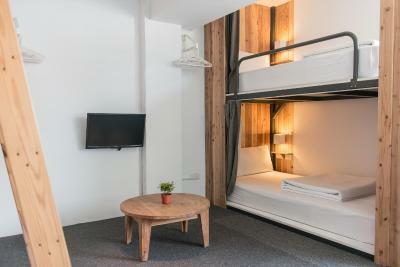 When would you like to stay at Star Hostel Taipei Main Station? 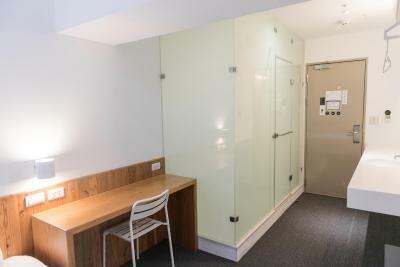 Featuring air conditioning and window, this soundproofing room is fitted with a double bed, flat-screen TV, work desk and private bathroom. Extras offer toiletries include towels, shampoo, body wash and hair conditioner. 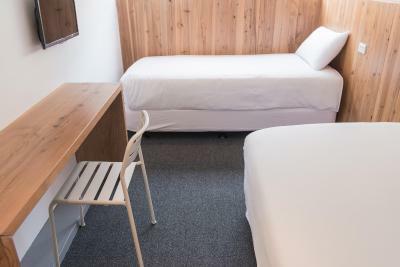 Featuring air conditioning and window, this soundproofing room is fitted with a single bed, flat-screen TV, work desk and private bathroom. Extras offer toiletries include towels, shampoo, body wash and hair conditioner. Featuring air conditioning and window, this spacious family room is fitted with 2 double beds, flat-screen TV, work desk and private bathroom. Extras offer toiletries include towels, shampoo, body wash and hair conditioner. 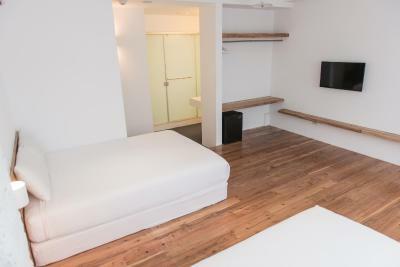 This room can accommodate up to 1 extra bed, subject to availability. 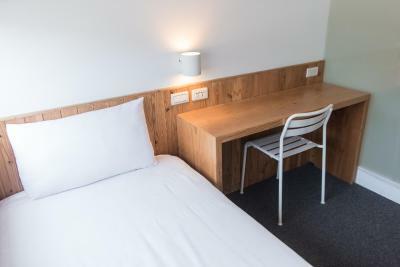 Featuring air conditioning and ample natural light, the bed in this spacious dormitory room is fitted with an international socket, electronic locker (31 in x 20 in x 18 in) and private curtain. 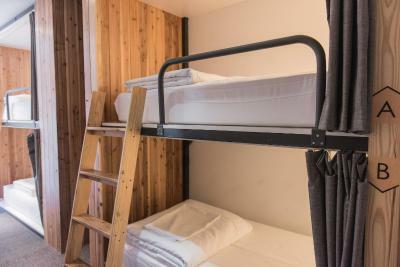 Each single bunk bed is 39 in x 79 in. - Room rate is for 1 single bunk bed only. 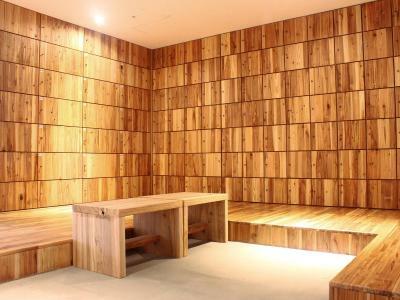 - The room can accommodate adults only. 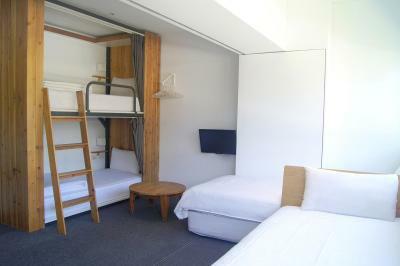 This dormitory with skylight provides bunk beds with personal curtain, bedside light and locker. The bathroom and toilet are shared. - Room rate is for 1 guest only. 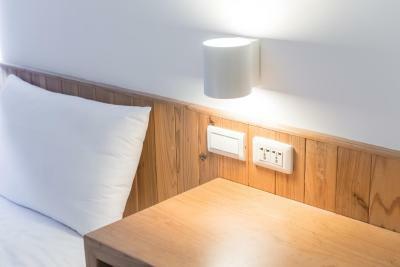 The bed in this dormitory is fitted with bedside light, personal locker and private curtain. The bathroom and toilet are shared. - This room has no window. 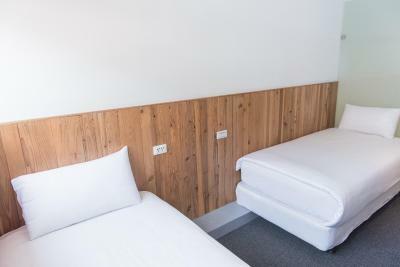 Featuring air conditioning, the bed in this spacious dormitory room is fitted with an international socket, electronic locker (31 in x 20 in x 18 in) and private curtain. Each single bunk bed is 39 in x 79 in. 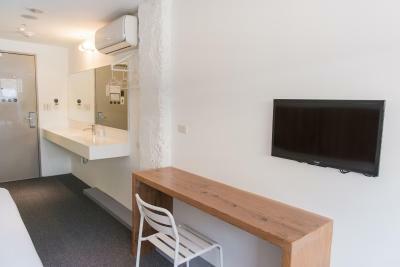 Featuring air conditioning and window, this room is fitted with 2 single beds, flat-screen TV, work desk and private bathroom. Extras offer toiletries include shampoo, body wash and hair conditioner. 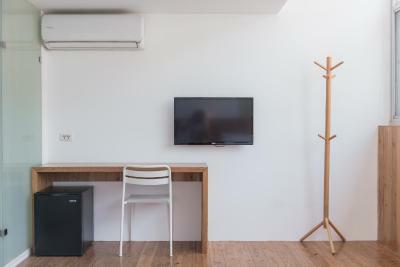 Featuring air conditioning and window, this room is fitted with a flat-screen TV, work desk and private bathroom. Extras offer toiletries include shampoo, body wash and hair conditioner. The minimum age for this room is 16 and must be accompanied by at least 1 adult. This room can accommodate up to 4 guests. An extra bed is possible upon request, subject to availability. 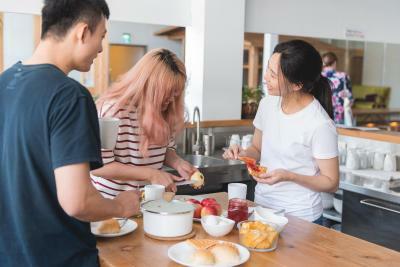 Star Hostel begin with a core vision: creating a clean, green, and cozy place for travelers from worldwide at exciting prices. 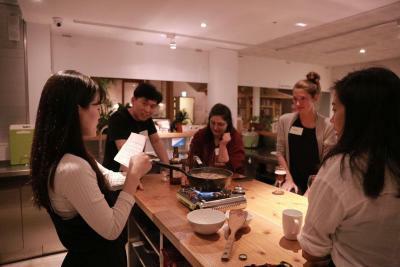 We are all about people with stories, so come meet other inspiring travelers who can share their journey with you, be welcomed by our friendly staff, and enjoy your adventure in the city. Embark on a unique journey that uncovers off-the-book local attractions that are the back bone of Taiwan culture, and dive deeper into experience Taiwan. 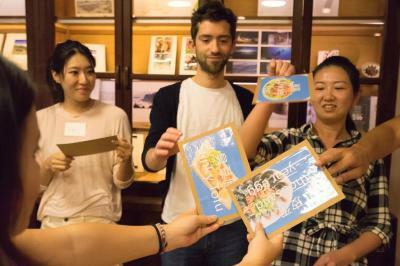 House Rules Star Hostel Taipei Main Station takes special requests – add in the next step! Star Hostel Taipei Main Station accepts these cards and reserves the right to temporarily hold an amount prior to arrival. 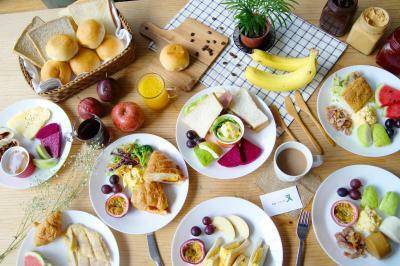 - Breakfast serving time is from 08:00 until 10:00. - Guests' passport or official photo identification and printed confirmation are required upon check-in. 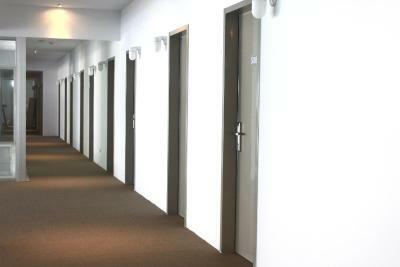 - Guests under 18 years old are not allowed to stay in dormitory rooms. - Children must be accompanied by at least 1 adult in private rooms. - Guests taller than 47 in are required to serve 1 bed. - Credit card is only accepted for payments over TWD 3,000. 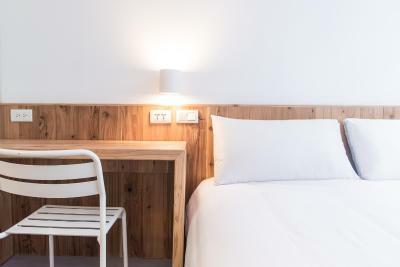 - For guests who book beds in dormitory, please note that guests of the same booking may be arranged to different dormitory rooms subject to availability upon arrival. - For those who need special assistance or need more information, please contact the property directly. Please inform Star Hostel Taipei Main Station of your expected arrival time in advance. You can use the Special Requests box when booking, or contact the property directly using the contact details in your confirmation. Everything. Wonderful common area. Relaxing atmosphere. Not far from Taipei Main station. A few good snack choices right downstairs. You have to climb the steps to the 5th floor and which would be a bit tricky for girls with big suitcases. Would be great if the lift could be used. 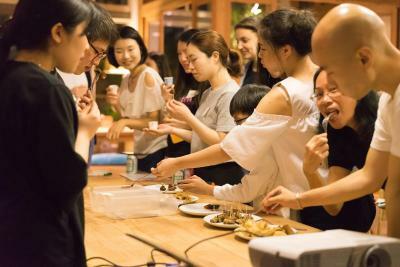 Atmosphere is very good, many people get together in the comfortable common areas n free to do anything together. Breakfast is all you can eat and delicious! 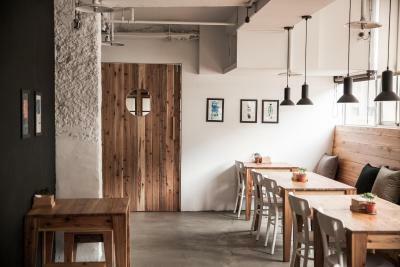 It’s a gem in the center of Taipei. 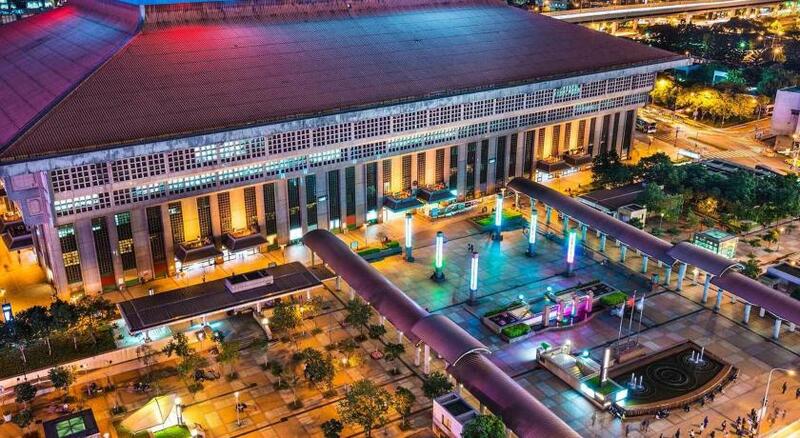 The hotel is located just across of Taipei main station metro and HSR stations. The stuff is so kind and always helpful with nice tips. Our room was perfectly clean and bright. Hotel is so nicely decorated, simple and chic. Loved it and would highly recommend! 1. It can supply more than fifty people stay in. However, I don’t like tens of people surrounded. 2. Its many fixed rules look like mechanical management without local warmth. 3. Heavy luggage needs transported by walking on the stairs. 1. Closed to train station, bus station and HSR. 2. Located on the food street for easy supper hunting; small shops nearby wait to be explored. 3. Compact personal dorm space is enough for sleeping. 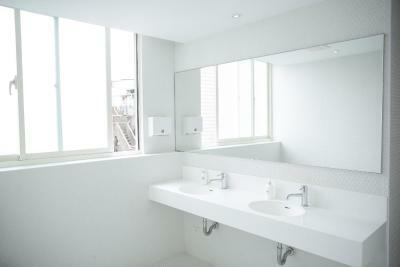 Even better if it had a bidet in all toilet room, included the toilet inside the guess rooms. I've been there for a second time, It was really wonderful place to stay in Taipei. Close to the Main station, the room is really clean and wonderful staff. The pictures on the website gave me an idea that the vibe was cosy, as everyone is hanging out with eachother. However, this wasnt the case. The place was awesome and offered alot of ways to socialize, but the guests themselves were very introvert and/or minding their own business. It felt depressing to hang out in the lobby that way. The place was super clean and the showers/toilets were as well. Kudos to that. There is no elevator and i need to climb up 1 floor with my luggage. The hostel is about 10mins walking distance from the subway station. The staff are very helpful and nice. The room and toilet is clean. Strategic location. Very near to Taipei Main Station as well as Airport MRT Station very easy to go airport with accurate timing. Comfort area for resting. Good and unique breakfast well prepared by the hostel staff (Stayed 4days all different breakfast). 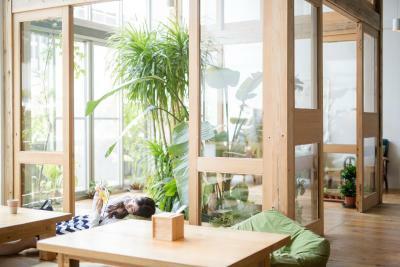 The whole atmosphere hostel is very comfort. Will definitely return for a stay in the future. A lot of food stalls while walking down from hotel. This was my first time staying in a hostel. It completely exceeded my expectation. Exactly like its pictures...Bathroom was extremely clean and bed was comfortable. I stayed in a 8 female dorm and was lucky that most of my roomates are very respectful in keeping as quiet as possible.....Otherwise bring ear plugs if you are a light sleeper. Breakfast also exceeded expectations as well..It was more than just toast and jam.